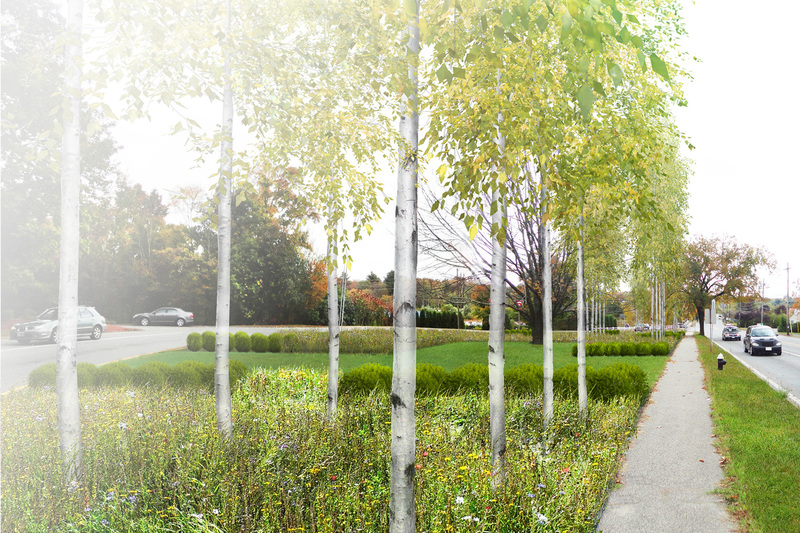 GV is designing vegetation and pedestrian circulation systems for Lexington’s Innovation District, a currently car-dominated commercial zone at the periphery of historic Lexington. The plan takes advantage of the area’s deep setbacks and wide rights-of-way to revise the vehicular and pedestrian experience and rebrand the district’s image with new planting and signage. It also completes a key pedestrian and bicycle connection to the nearby Minuteman Bikeway.